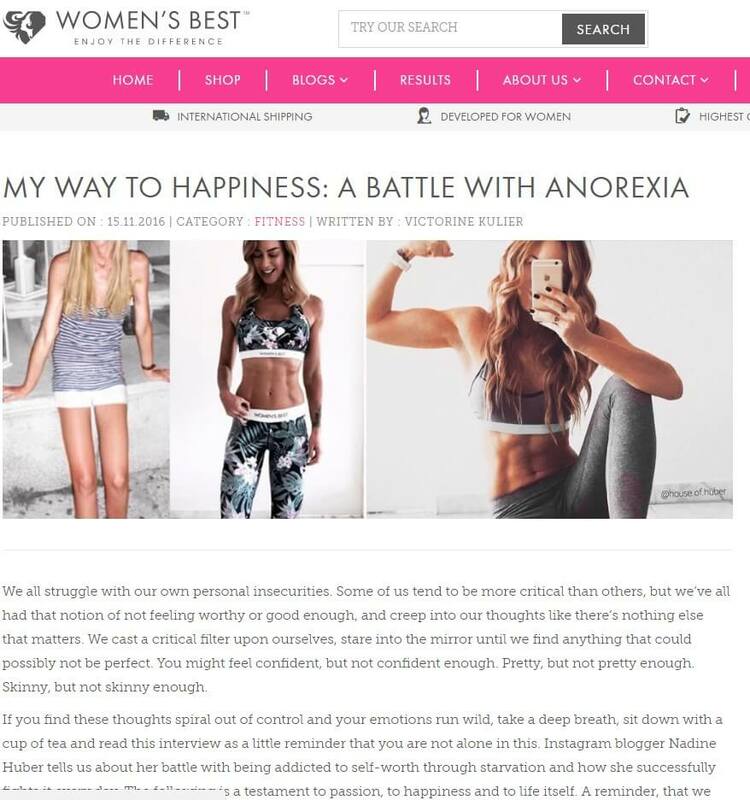 Nadine’s story about her eating disorder battle and recovery from anorexia was just published on Women’s Best online. We all struggle with our own personal insecurities. Some of us tend to be more critical than others, but we’ve all had that notion of not feeling worthy or good enough, and creep into our thoughts like there’s nothing else that matters. We cast a critical filter upon ourselves, stare into the mirror until we find anything that could possibly not be perfect. You might feel confident, but not confident enough. Pretty, but not pretty enough. Skinny, but not skinny enough. 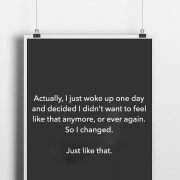 If you find these thoughts spiral out of control and your emotions run wild, take a deep breath, sit down with a cup of tea and read this interview as a little reminder that you are not alone in this. 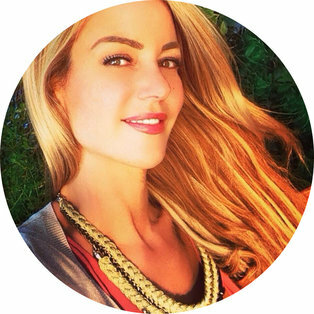 Instagram blogger Nadine Huber tells us about her battle with being addicted to self-worth through starvation and how she successfully fights it every day. The following is a testament to passion, to happiness and to life itself. A reminder, that we are all capable of doing great things – it all starts with loving and accepting ourselves exactly the way we are. Let Nadine help inspire you to be your own inspiration!